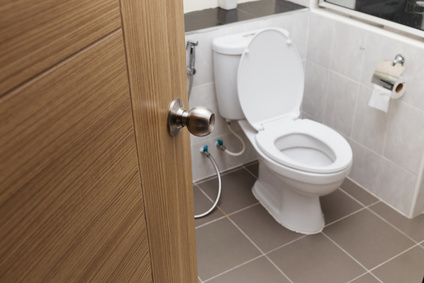 The most used and abused plumbing fixture in homes today is the toilet. A good quality toilet can last almost forever if your water isn’t corrosive and you properly maintain its inner workings. A running toilet can produce a high water bill and is worth the money in repairs, which could be less than the overage on your next statement. If your toilet is running after you flush, try jiggling the handle. If there is some play to it before it gives resistance, you will need to look in the tank by removing the lid. Jiggling the handle can solve the running problem temporarily. There are components inside that regulate the emptying and filling of water to ensure there is pressure for the next flush. The most common problems are a faulty flapper or float that gets stuck and partially submerged under water. This is the large valve on the bottom of the tank. It has a chain attached to it. When the handle is flushed, the plastic arm lifts the flapper by the attached chain. This allows the water to drain. When the handle is released, the slack in the chain allows the flapper to float back down. If it has begun to rot, it will not seal properly and the water will continue to drain. If you suspect the flapper, you can run your finger along the bottom side and if there is a black residue, it is time to replace the valve. These flapper replacement kits include a new chain, seal and silicone sealant. They are everywhere at your home improvement stores and online. They typically cost around $10-$20 depending on your toilet. When you look inside the tank you will notice a float, also known as the toilet ball, but not always the shape of a ball. If it is not resting on top of the water, it will need to be replaced. It is possible the float is set too high. This causes the water level to be set too high and will continuously run as the overflow tube will prevent the water from ever reaching the float. A simple clockwise turn or two of the screw that attaches it to the fill valve will bring it back down. It is the least common of the three reasons for a toilet to run continuously, but the fill valve may go bad. It is also a simple and inexpensive way to prevent costly water bills.